The eMail Guide is a centralized search engine for email and online marketing. Whether you are new to the business, a bone fide expert, or anywhere in between, this community was built for you! Newbees, here you will connect with people just like you who want to use email marketing to grow their businesses. Here you will improve your knowledge, find new suppliers, and get new ideas. 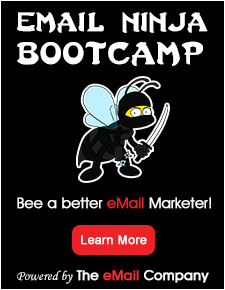 The eMail Guide features great ways for you to go from an email marketing Newbee to a highly trained Ninja. Find content-rich articles in The Buzz from the leaders in the email industry. Tips, tools, and tricks will take your email, social, and mobile marketing skills to the next level. Hear live weekly broadcasts on #eMailRadio with questions and answers from the industry experts. Call in and chat live each week! Find hundreds of services and products in an easy-to-navigate directory where you browse for the solutions that best fit your needs. Make better choices with the help of user reviews and ratings. Ninjas, you will also learn and grow by participating in the eMail Guide online marketing community. Connect with other Ninjas to get the latest tips and tricks. Sharpen your skills by teaching others. Share your expertise through blogging and guest appearances on #eMailRadio. List your company in our directory so others can find you. We’re here to broaden your perspective and understanding of email, social, and mobile marketing campaigns. We steer you around the pitfalls and show you the best practices in the business. We are here to answer your questions and support your efforts. From NewBee to Ninja, let us be your eMail Guide. 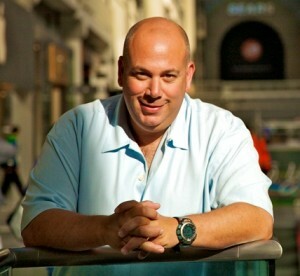 Jeff Ginsberg, founder and CEO of The eMail Guide, is a passionate outside-the-box thinker who loves technology and everything “Internet-ee”. After 10 years of email marketing, he launched The eMail Guide in 2009 his way of giving back to a noisy, fragmented industry driven by commoditized CPM rates. Long before email marketing was the Cinderella of the Internet, Jeff helped companies understand the true need to build opt-in databases. Opt-in is where email marketing begins. His clients include major brands in the Canadian marketplace – Honda, Mazda, BMW, RadioShack, The Source, Grand and Toy, HBC, Bank of Canada, Bank of Montreal, Mackenzie Financial, Heart and Stroke, MADD, UNICEF, plus many others, including a list of Who’s Who in the agency world. He continually does education and training sessions with the hopes that an ounce of education is worth a pound of execution. When Jeff is not in front of a computer he can be found in his garden, wood shop or anywhere near the water.